It is generally appreciated that the September 1859 solar–terrestrial disturbance, the first recognized space weather event, was exceptionally large. How large and how exceptional? To answer these questions, we compiled rank order lists of the various measures of solar-induced disturbance for events from 1859 to the present. 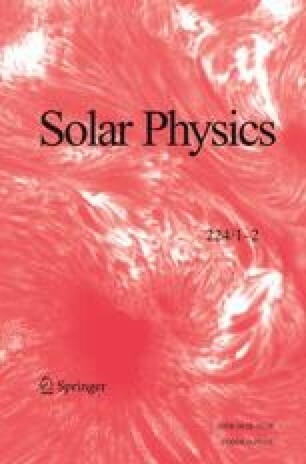 The parameters considered included: magnetic crochet amplitude, solar energetic proton fluence (McCracken et al., 2001a), Sun–Earth disturbance transit time, geomagnetic storm intensity, and low-latitude auroral extent. While the 1859 event has close rivals or superiors in each of the above categories of space weather activity, it is the only documented event of the last ∼150 years that appears at or near the top of all of the lists. Taken together, the top-ranking events in each of the disturbance categories comprise a set of benchmarks for extreme space weather activity. 1.Space Vehicles Directorate, Air Force Research LaboratoryHanscom AFBU.S.A.